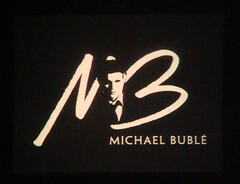 One of my fellow designers Chris Mcloughlin recently went to see Michael Buble live at Wembley arena so at this moment there are 4 boys sitting in a room listening to his voice as I type. I have been searching through my research to find some quotes about technology and its impact on society. I feel that using parody as a way to change some negative quotes it could create interesting compositions. In reference i started searching for typographic posters as a way to start looking at my typographic designs as more than an idea. This poster by Stefano Joker Lionetti shows how parody can work well on a typographic poster. This type of quote can be changed and parodied as less of a put down and more of a promotion of technology.